Kennedy has racing in his blood. He began his stock car racing career Super Late Models. 2014 NASCAR Talladega Truck Results led by Timothy Peters at the line. It was a win by fractions of a second, at it usually is at Talladega Super Speedway. Several major incidents took place throughout the day. 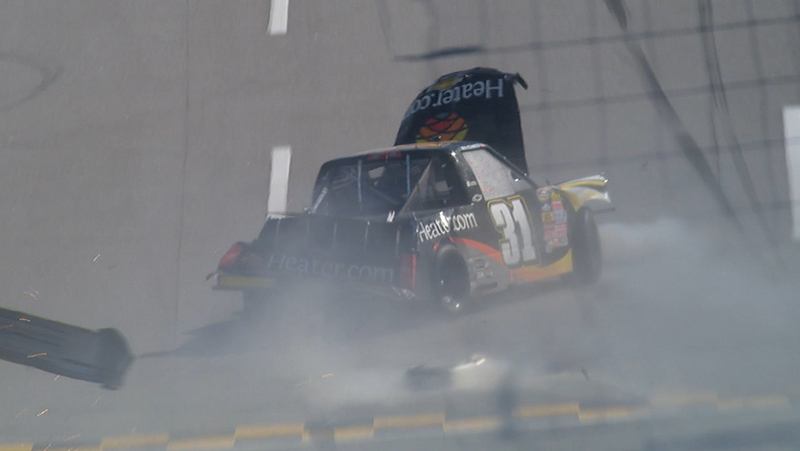 Scroll below the Talladega results to watch the big crash videos from the day.